Whilst this might be a fairly new cognac brand, the history of the house dates back over eight decades, and is very much a family affair. Located in Saint Fraigne, the house of Pierre Lecat has provided top quality eaux-de-vie to many of the large, well-known cognac houses since the 1970s. But despite doing this, they also kept and aged their own stocks within their cellars. Today's happy eventuality of creating their own cognacs comes thanks to the man who the house has been named after. Pierre Lecat was the stepfather to Jean Luc Lassoudière, a local watchmaker who today is the proud grandfather to today's owners. it was Lecat who, following the phylloxera crisis of the 1800s, guided the house through the necessary steps to create eaux-de-vie of an exceptional quality that could be sold to various cognac houses. So, in 2014, it was decided that the brand would be named after Lecat - and the first creations were bottled and marketed. In addition, the logo also represents the trade of Lecat - a watchmaker - intrinsically linking the history, name, and ethos behind the company. 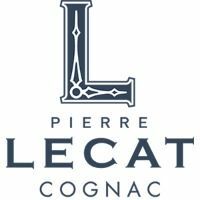 In their very first year, Pierre Lecat cognacs were awarded medals at the Brussels Global Awards, at the IWSC, and at the Cognac Masters Awards in London for both the VSOP (silver) and XO (silver and silver outstanding). There is no information available about visiting Pierre Lecat Cognac. We suggest you contact the cognac house directly for further information.